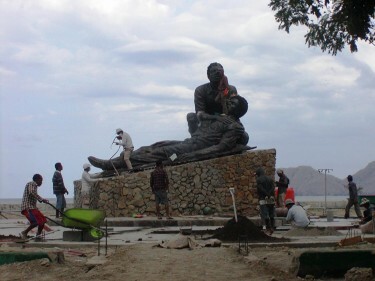 Monument to Santa Cruz Massacre under construction. Anonymous photo shared on Facebook. On the preparations for the anniversary of the Santa Cruz Massacre (November 12, 1991), a photo of a monument to be inaugurated in Dili circulated on Facebook.